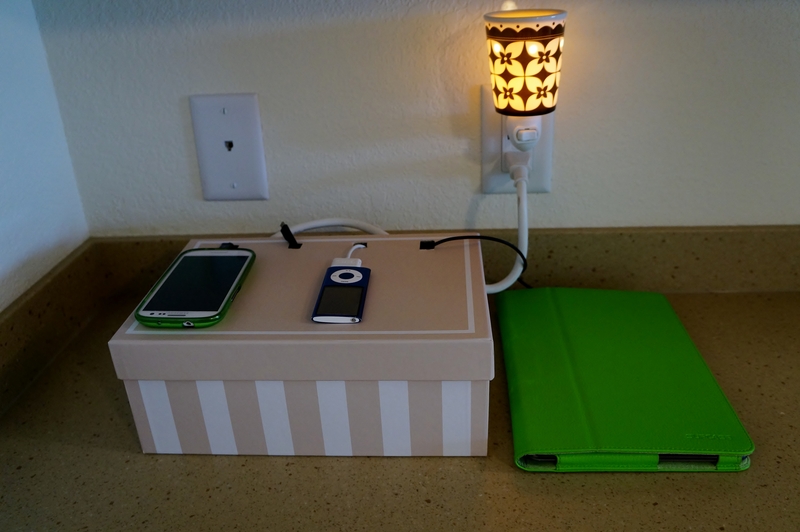 Create a 5 minute charging station and organize your kitchen. Does your kitchen counter ever look like this? This is on a good day, when all the cords are actually in the same corner of the kitchen. 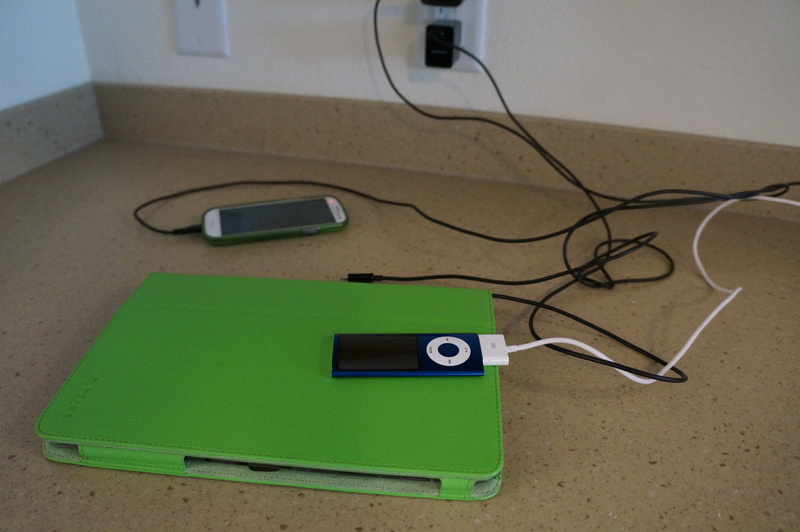 Usually it’s one by the sink, one by the stove…..Always plugged in and getting in the way. I needed a quick fix. There are a lot of really cute organizing stations for sale out there; or I could have made a fancy one, (I love this bread box charging station from Four Generations One Roof). But I decided enough was enough and I needed one NOW! 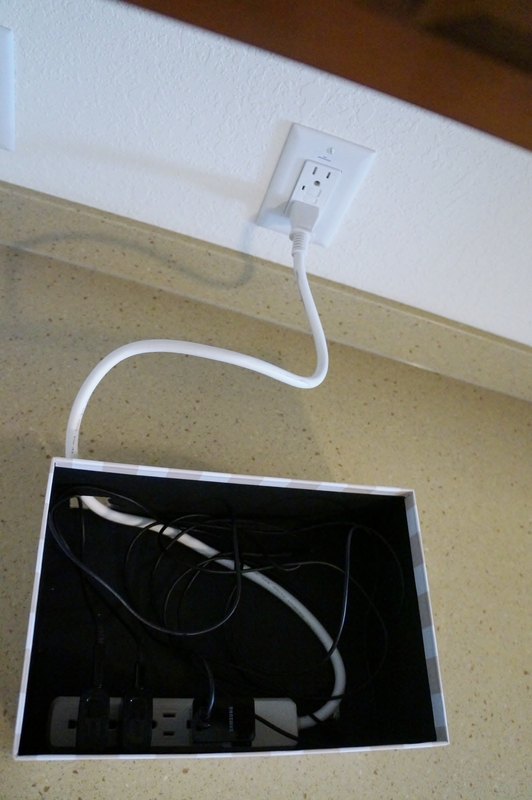 I started by putting the power strip in the box and marking where the cord needed to exit the box in the back. Then I cut a hole in the back. Next I laid out my most often charged items on the top to see where the cord holes needed to be cut. I marked the spots again and cut away. That’s about it! 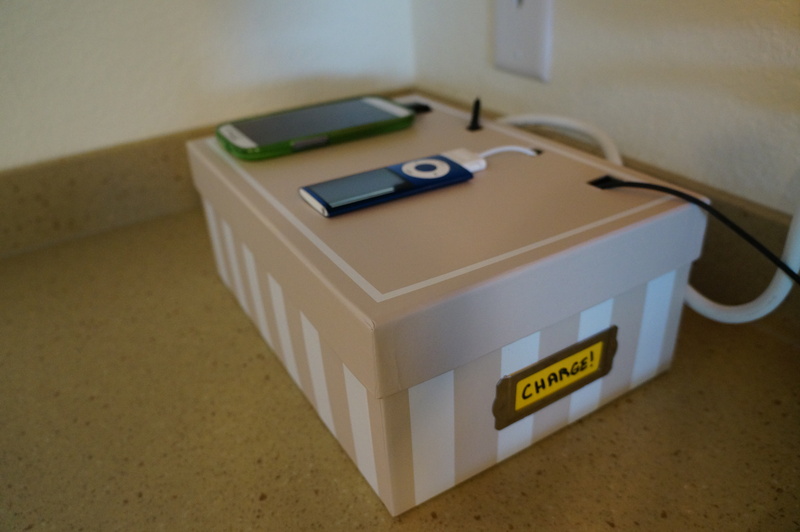 Plug in the chargers, thread the cords through the holes, add a CHARGE! tag and Voila, done! 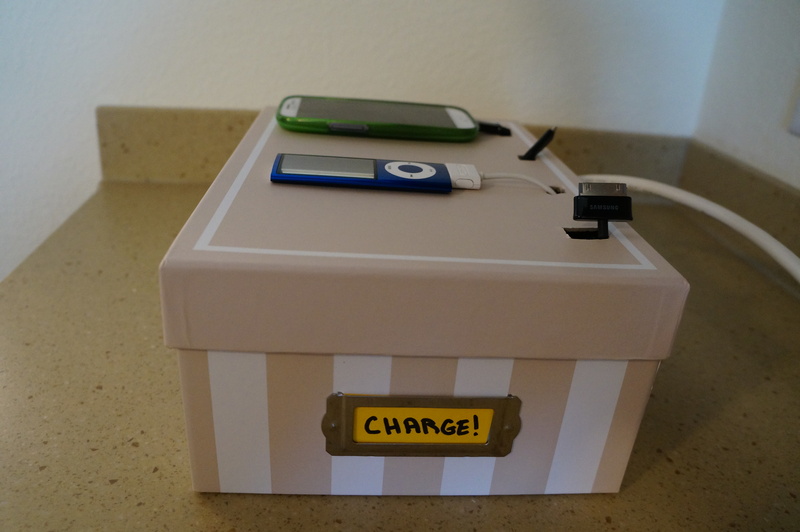 You could also add holes to the front of this box to charge additional items as needed. 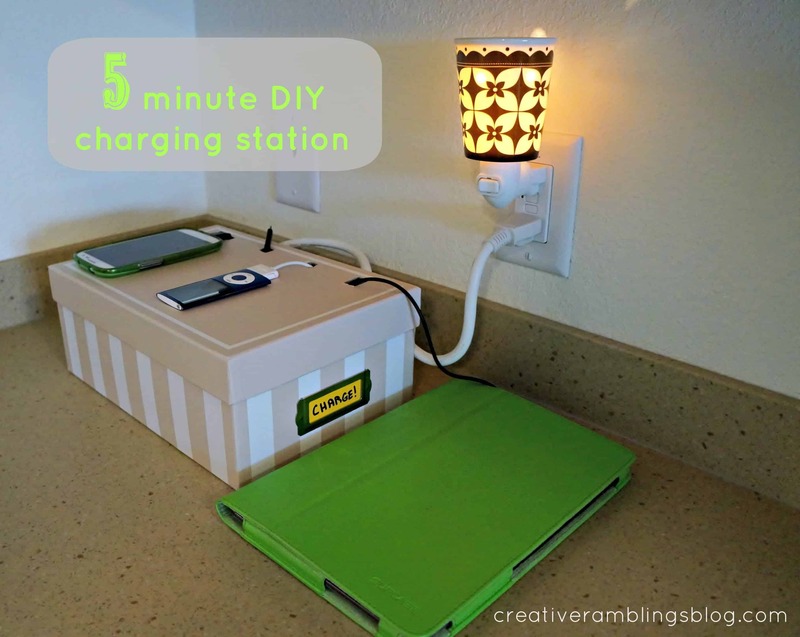 5 minute DIY charging station. What a great solution! I love that you used some simple items to create a space that really works for you. Thanks for sharing on our Home Improvement Party! =) I’ll be sharing your post on my FB page over the weekend! Thanks for stopping by Nicole, I appreciate the share too!